Loyola University New Orleans is a Jesuit school set on 24 acres on oak-lined St. Charles Avenue in Uptown New Orleans; directly across from Audubon Park and Audubon Zoo, just 15-20 minutes from the French Quarter and downtown New Orleans. A small sized school with close to 2, 500 undergraduates; the university has five colleges - Arts and Sciences, Business, Graduate and Professional Studies, Law, and Music and Fine Arts. Close to the historic Garden District and charming Magazine Street, Loyno students do not have to travel far to enjoy great restaurants, attractions, and shops. This Loyno guide focuses on places Uptown and in the Garden District, close to the university. For more on the best things in the city at large see our other Daytripper itineraries on the right. Stay: If it’s your style to roll out of bed and head to your college tours, check into The Park View Historic Hotel, just steps from the university. Also convenient, the Hampton Inn is located two miles down St. Charles. Heading down St. Charles another half a mile the newly renovated Pontchartrain Hotel has our vote while visiting LOYNO. The hotel is a mix of old and new, nowhere more apparent than in the Bayou Bar, where a portrait of Lil Wayne by local artist Ashley Longshore hangs next to vintage floral paintings. The rooftop bar with panoramic views of the city and the Mississippi River is wonderful. Many parents also choose the boutique Hotel Indigo, one block down from the Pontchartrain, also overlooking the St. Charles Streetcar line in the historic Garden District. Local Attractions: In Uptown, right across from the LOYNO campus, explore beautiful Audubon Park or Audubon Zoo. The 1.8-mile path makes for a nice loop, lined with magnificent ancient live oaks. Shoppers will be happy on Magazine Street filled with great boutiques, antique stores, cafes, and restaurants. Tour the Garden District with its grand historic mansions and walk through the Lafayette Cemetery. Daily tours are given by the Garden District Walks, departing and returning from the Spielman Gallery, located caddy cornered to Commander’s Palace and the Lafayette Cemetery. Tours last approximately 2 hours and are $30 per person, sign up here. The WWII Museum is incredible with exhibitions that are interactive and meaningful. Just toured the Loyola University Campus? 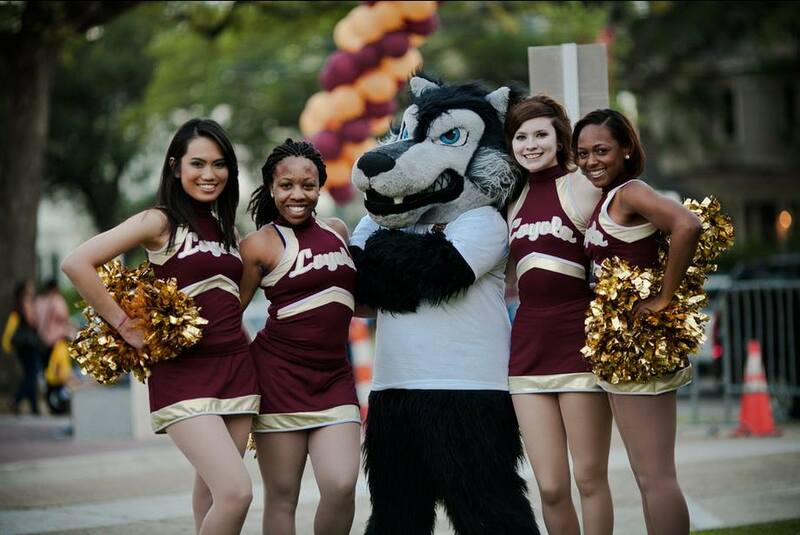 Are you a Loyola University student, parent or Alumni? Fill out this 2 minute survey to supplement our Daytripper University Guide for Loyola University!